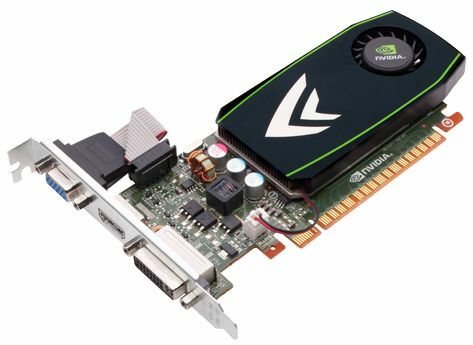 NVIDIA has released a new GeForce today. 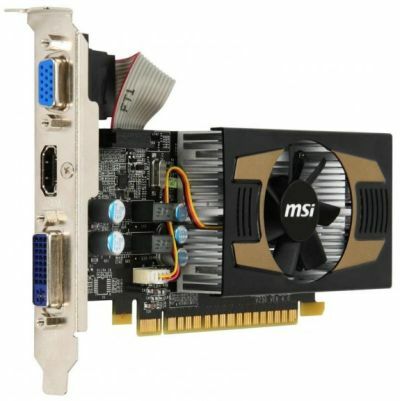 The GeForce GT 430 is an entry level card designed to compete with AMD Radeon HD 5500 series and to replace the GeForce GT 240. 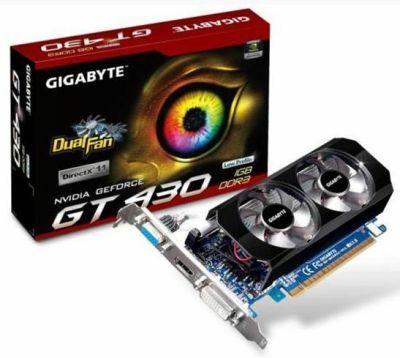 The GT 430 is based on the GF108 GPU and is priced at around US $80. 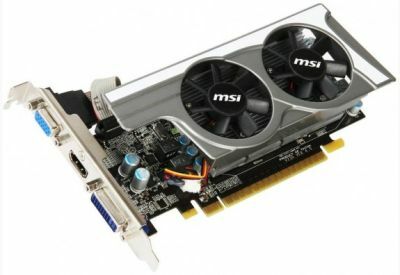 This sub $100 card offers OpenGL 4.1 / Direct3D 11 support allowing light gaming. 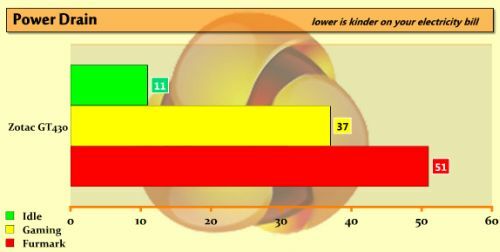 But the real target is to build a multimedia PC (HTPC, photo, video). 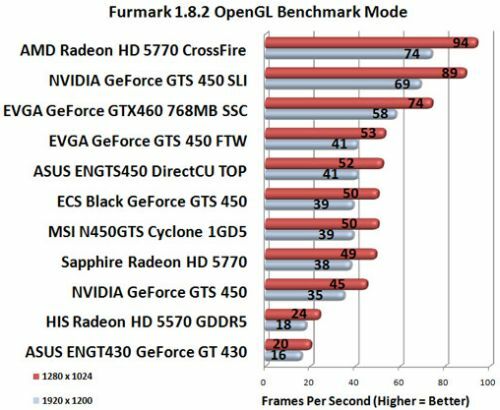 Power consumption and GPU temperature of the GeForce GT 430 stressed by FurMark. 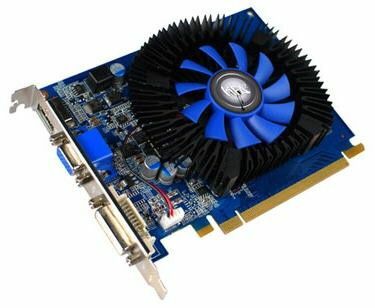 GeForce GT 430: the first Fermi at 50W!!! 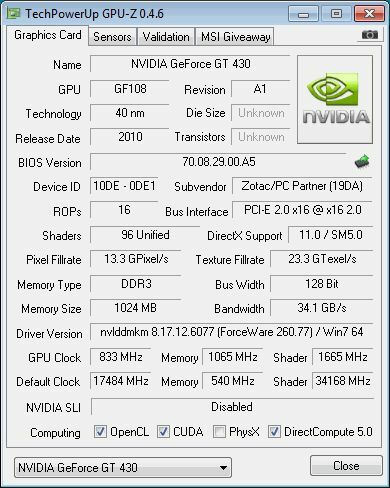 NVIDIA’s GeForce GT 430: The Next HTPC King? 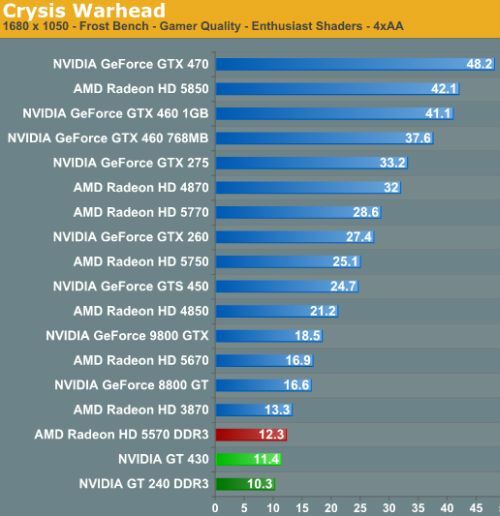 NVIDIA GeForce GTX 590 Officially Launched (Specifications and Reviews), HD 6990 is still Faster!